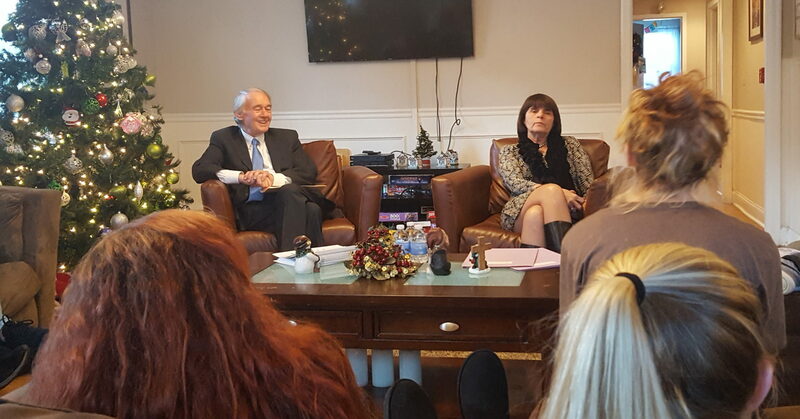 While making a stop in Lowell, MA this past Sunday December 10th, United States Senator Ed Markey (D-MA) stopped by Megan’s House and spent an hour speaking with, and learning from, the young women who call Megan’s House home. The Senator was joined on his visit by Middlesex County District Attorney, Marian Ryan, a frequent visitor to the house and an ardent supporter of the program. D.A. Ryan arranged Senator Markey’s visit after an invitation was extended by the Foundation’s Chairman of the Board, Robert Gignac. The two elected leaders engaged in what proved to be a powerful conversation with the women in recovery. Spurred on by the insightful questions of Masschusetts’ Junior Senator and the D.A. who has been front and center in Middlesex County’s battle against addiction, resident after resident spoke of what makes Megan’s House, the house and the program, different from other recovery facilities. When the conversation ended, D.A. Ryan thanked the young women for their candor and the courage it took to speak so openly about their journeys. 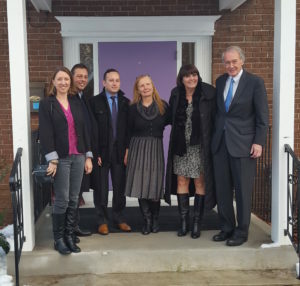 Senator Markey, whose wife counsels troubled youth, beamed as he thanked the residents for brightening his day with their intelligence and positive outlook. He concluded by vowing to continue the fight in Washington, DC for the funding necessary to create more homes and programs like Megan’s House. 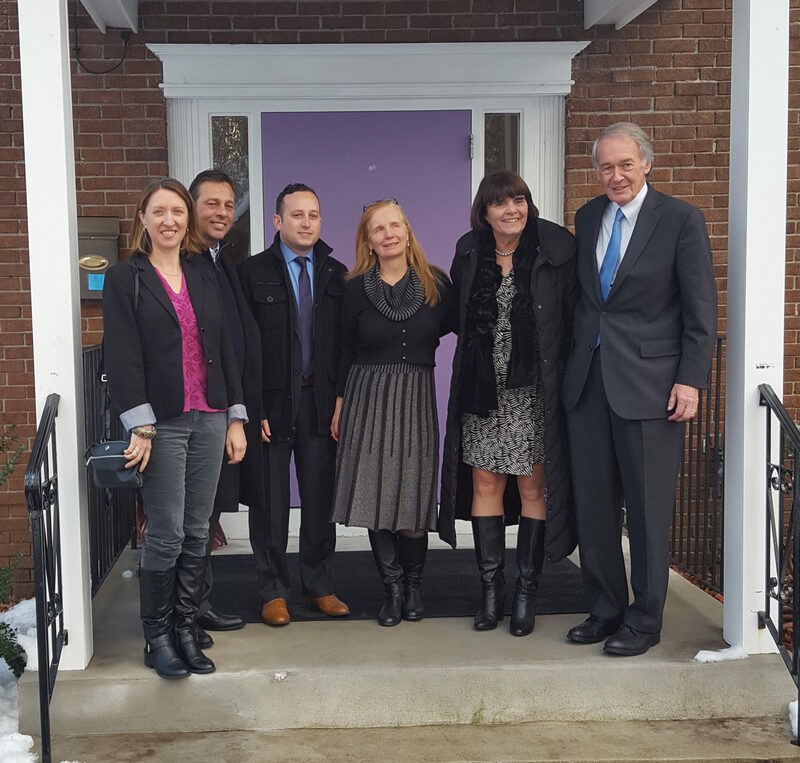 The Megan House Foundation extends its heartfelt gratitude to Senator Markey for taking time out of his busy schedule to learn more about this wonderful program, and we are always grateful for District Attorney Ryan’s continued support. 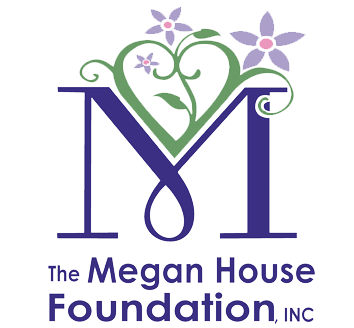 The valuable time they spend visiting and engaging the residents of Megan’s House leaves a lasting impression and offers hope to those in recovery that leaders in positions to help do indeed grasp the magnitude of this public health crisis and are doing their best to make a difference.